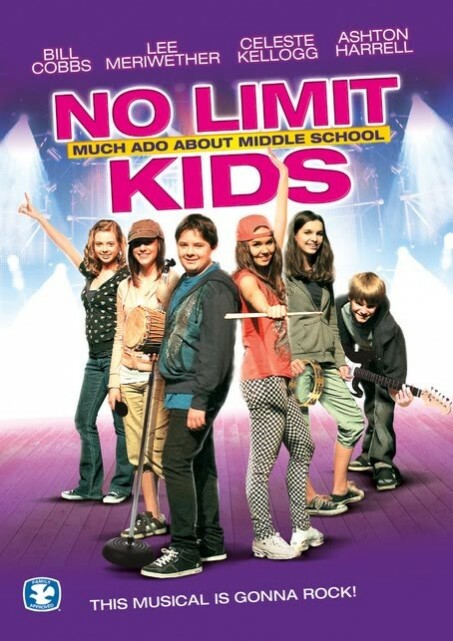 No Limit Kids: Much Ado About Nothin’ centers around a group of kids entering middle school for the first time. Full of questions, doubts and fears, they band together to form a club in an old abandon theater on Main Street. Inside the theater, they not only find a very interesting piece of their town’s history, but also a seemingly homeless man, Charlie (Bill Cobbs, Night at the Museum, That Thing You Do), who connects with kids because of his own “outcast” status passion for the theater. The teens learn that the old theater will soon be destroyed and set out on a mission to save the town’s landmark and Charlie’s safe haven. Needing to raise money, they decide to put on a modern day version of Shakespeare’s “Much Ado About Nothing” and through mistaken identities and false assumptions, the group learns a valuable lesson that you can’t always judge a book by it’s cover. Also starring Lee Meriwether (Golden Globe Nominee, Catwoman, Barnaby Jones) and Blake Michael (Disney’s Lemonade Mouth, Dog With A Blog), this moving story centers on treating all people with respect, standing up for what you believe in, and being true to yourself, Middle School Musical: Much Ado About Nothin’ delivers an uplifting message for the entire family that will speak to all generations.